Successful websites need an easy way for people to get in contact. Standard email addresses are still great to use; they are fast, reliable and you know that the reply-to address is nearly always going to work. But sometimes website visitors do not always have immediate access to their email software for sending a message to you. Or other times you may wish to collect user information in a more formal manner. 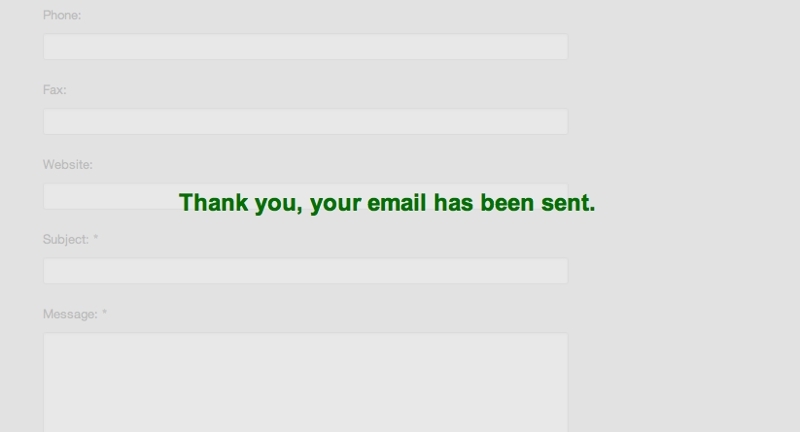 For this job, a contact form is almost essential. There are many contact form stacks and page types available for RapidWeaver, from a wide range of different companies. However the free contact form page type that ships with RapidWeaver has proven to be very secure, simple and reliable to use. The RapidWeaver contact form is compatible with more web servers and also includes discrete yet highly effective spam filtering (to block automated messages). This knowledgeable article will cover a few hacks you can safely perform to extend the functionality and usefulness of the contact form page type that ships with RapidWeaver. The only part of the code you may need to edit is form[element4]. RapidWeaver allocates each form input a number (starting at 0 for the first form input). 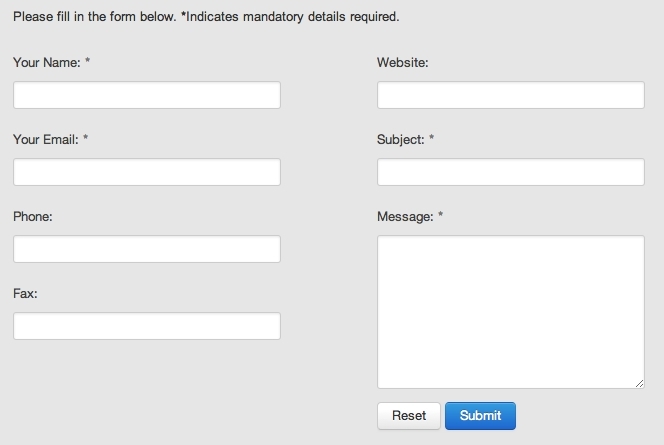 So if your email field is the 7th form input in the form, you'll want to change the selector name to form[element6]. Otherwise you'll be validating the wrong form field. Likes you may also wish to customise the error message displayed to uses. The above technique was found to work well in ThemeFlood themes, but failed in some themes from other companies. Your could adopt the same technique to validate other form fields, like postal codes, website addresses or telephone numbers. Simply replace example.com/thank-you with the actual webpage address you want to redirect your users to. The address needs to be an absolute (full) address, not a relative path. The button will still be there in the page source code, but will not be visble (or click-able) for your website users. Only the submit button will be shown. Straight away, it is much clearer to the end user that a mistake has been made, and they can check their details again. Of course using CSS code, you are free to apply all sorts of different styling to these error messages, such as colours, font faces and font sizes. You could even consider icons. This HTML code adds a new container called #sentShade which we will use to overlay the contact form on submission. It also puts the "Thank you, your email has been sent" message text inside a new container, which we can use to apply styles to. Refreshing the page would hide the overlay and make the form active again. 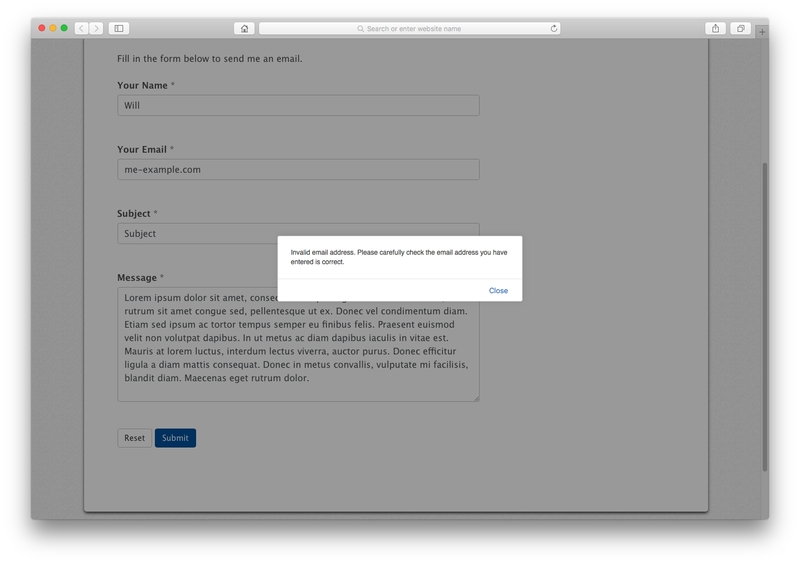 Basic functionality like the ability to tab between form inputs will continue to work, using this method. Additional breakpoints can be created if you want more columns on wider screens.